I love bread. I love it toasted. I love it fresh baked and warm. I love it plain. I love it with butter and honey. I love it loaded with meats and veggies. But not all bread is created equal. I tried all three and love each one. They are so soft, but they’re also hearty and filling. 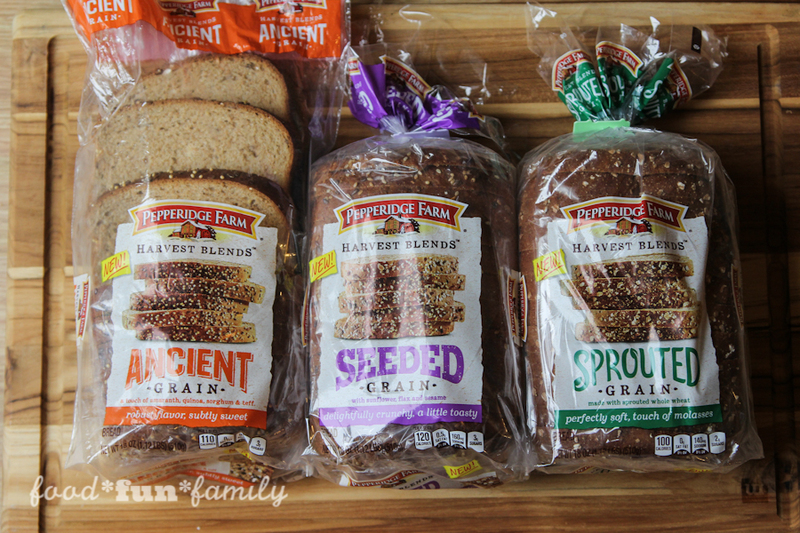 I love that they taste more like my fresh baked bread than something off the shelf. They’re especially delicious toasted with some melted butter, or grilled with some cheese. Yum! 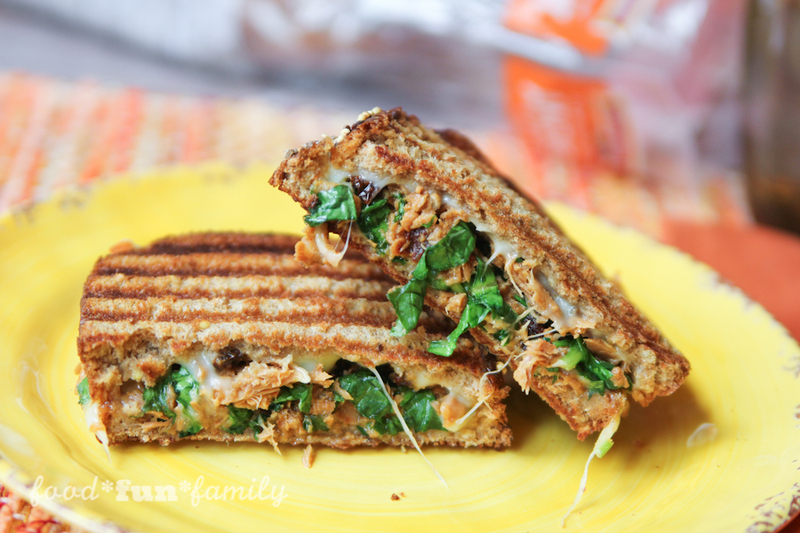 I took a toasted, cheesy sandwich to the next level with my sun dried tomato tuna panini. I made it the other day for lunch, and my husband, who had just made himself a peanut butter and jelly sandwich on a boring slice of bread, was insanely jealous of my gourmet sandwich made with Harvest Blends Ancient Grain. I have to admit…it was a beautiful sandwich! Luckily, it’s so easy to make, using just a few ingredients, and is ready in less than 10 minutes. Heat a panini press/griddle to medium-high. Or preheat a small skillet on the stove. In a small bowl, mix drained tuna, chopped spinach, sun dried tomato, paprika, and garlic powder. Drizzle with a little bit of olive oil and mix with a fork. Place a slice of cheese on a piece of bread; spread tuna mixture over top; add another piece of cheese and then another slice of bread on top to form a sandwich. Brush olive oil on the outside of the sandwich. 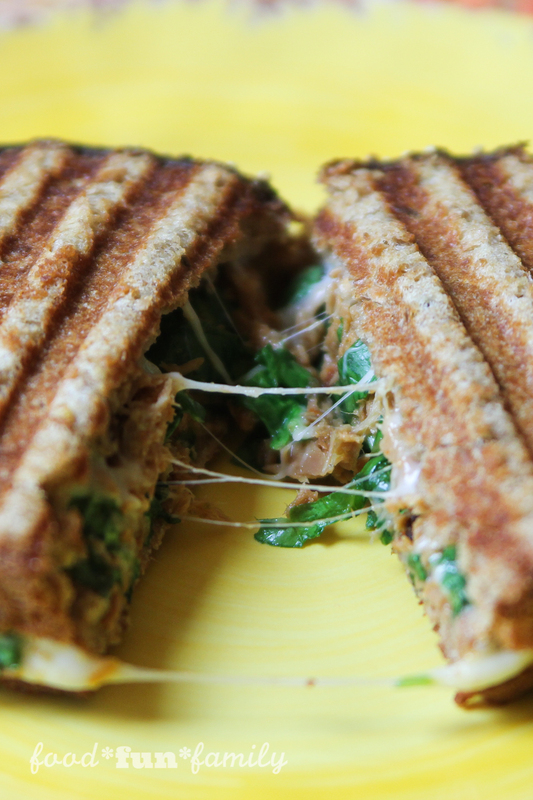 Place sandwich on a panini press or skillet and toast until both sides are golden brown and cheese is melted. 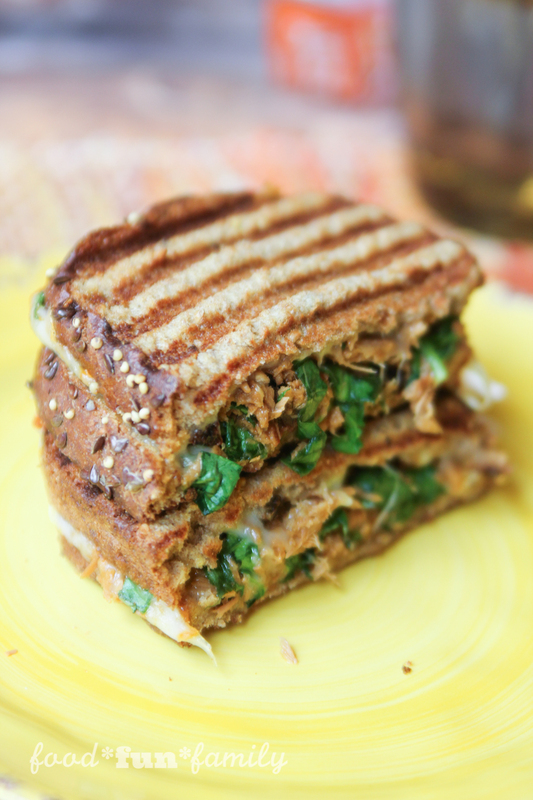 You are going to love this hearty, delicious toasted sandwich! What are your favorite kinds of sandwiches to make? 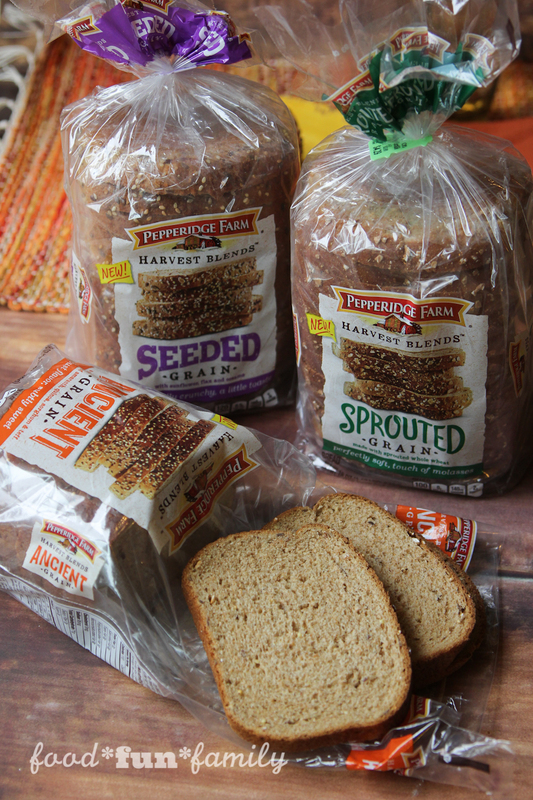 Which of the Harvest Blends breads are you most excited to try? All of your 15 minute dinners look so delicious and they are so creative! I love tuna, I eat it every couple of days. Thank you! I had a lot of fun coming up with the recipes! 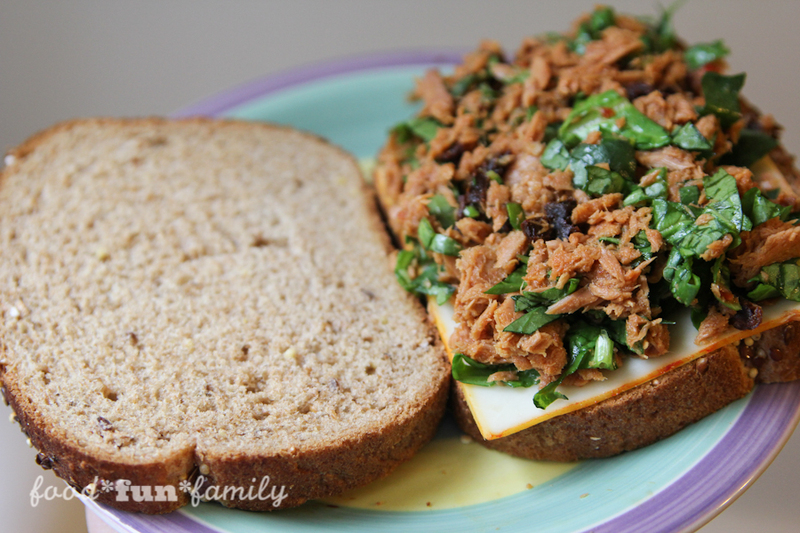 This is a delicious recipe using tuna. I like how healthy it is and I am going to make this for me and the kids! That looks delicious. I would love one of these breads in a gluten free version, as I have celiac. Thanks for sharing at #HomeMattersParty. The more we add to the sandwich, the less our kids want to eat it. We usually just stick with a variety of meat and cheese. 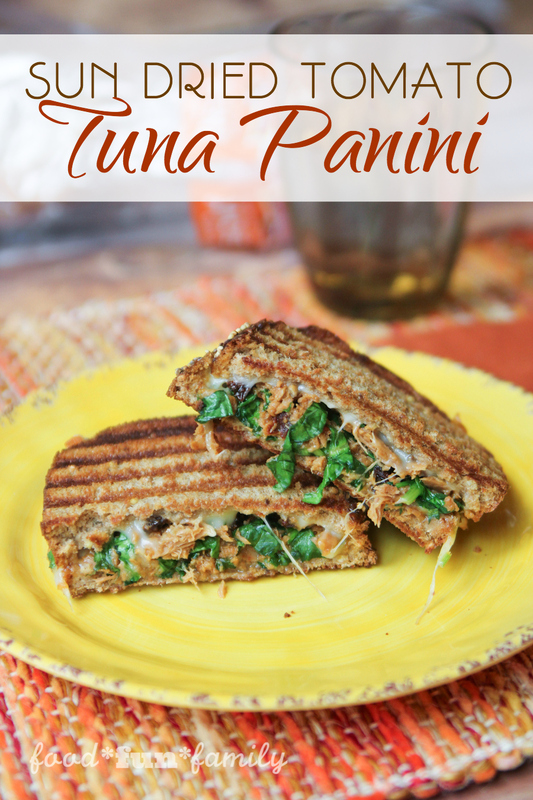 I’m a sucker for panini, melts, but add cheese, fresh spinach and sun dried tomatoes, and I’m hooked!